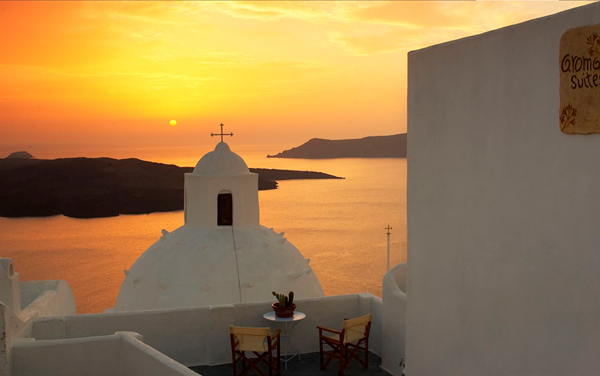 Beautiful Aroma Suites, on the tip of the Santorini Caldera opposite the Volcano - a charming Cycladic settlement ... graceful, serene, a quiet haven for relaxation on the magnificent island of Santorini. 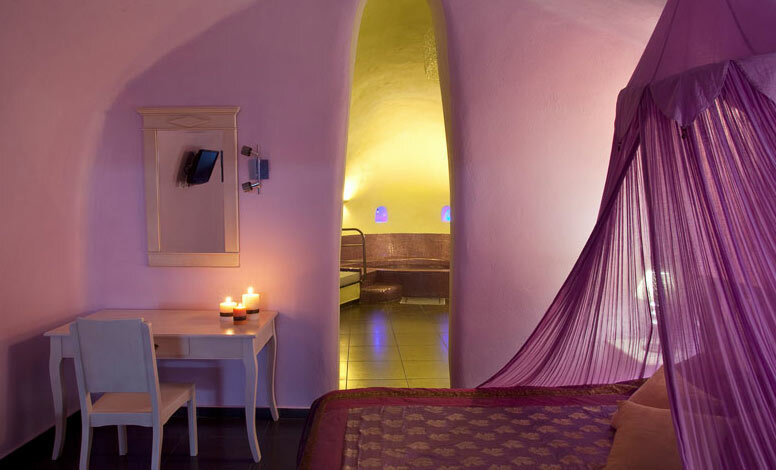 Six rooms & apartments & the Honeymoon Suite, each room named after a herb or spice, and each decorated in vibrant joyful colours ... " Lemongrass, spearmint, lavender, mint & basil born to this island " ... Aroma Suites Hotel in Santorini is without a doubt an excellent choice. A white washed Cycladic path paves the way down to Aroma Suites, a new hotel that opened its doors for the first time in 2006. The settlement has a little domed chapel, ' the Church of Christ ' to keep us company, to watch over us & to inspire us. Our guests have the opportunity to use the swimming pool at our other hotel, Loizos Apartments, just 50 metres away.